Your company’s data is moving to the cloud and your role as a database administrator (DBA) is about to transform. Whether you’ve got plenty of time to prepare or you need to immediately move your workloads, now’s the time to showcase the value you add to the business as a DBA. 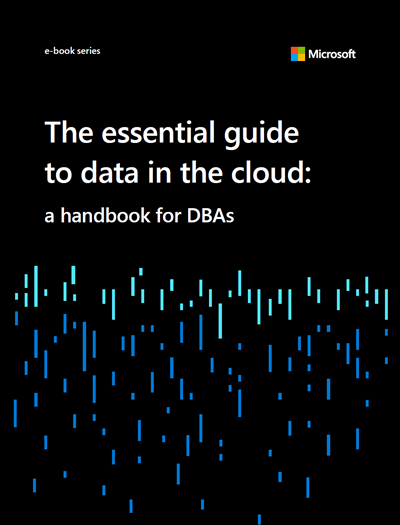 Make sure you’re ready for the transition to cloud database management with The Essential Guide to Data in the Cloud: A Handbook for DBAs. Understand the transformation from on-premises databases to cloud data services—and the cloud database technologies available to you with Azure. Learn how your skills will transfer and your role will advance to include more optimization, experimentation, and high-level data architecture—and less patching, maintenance, and administration. Discover the ways that DBAs can use the cloud to lower costs and boost the bottom line.